The new MKevo Pro refrigerating plants are the result of over 40 years of experience in industrial refrigeration and modern technologies, both in terms of design and in the use of the most modern materials. They are machines designed to cool industrial water or other types of fluids in plant production processes. 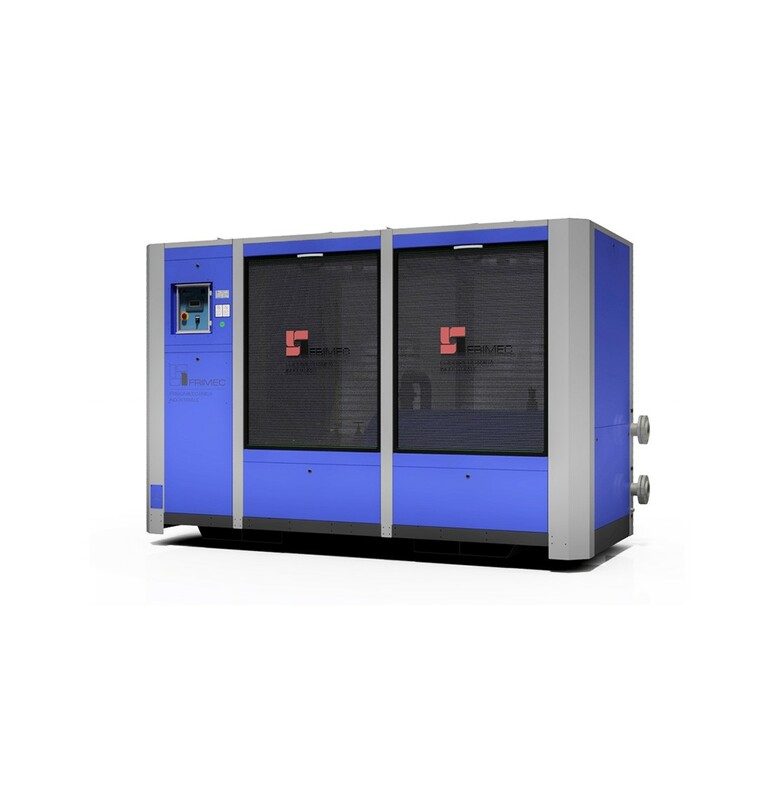 They feature completely closed-loop operation in the MKevo Pro version, with fluid circulation between the chiller and the fixture, and open-loop operation in the MKevo FT Pro version and have power ranges from 12 to 375 kW. They ensure water supply at optimum temperature, adjustable as desired and always constant, with a continuous flow rate and stable pressure. All the issues usually arising when using open-circuit cooling with non-recycled water, such as lime scale deposits, microflora (algae) deposits and chemical attacks due to the acidity of water are eliminated. Furthermore, the thermal pollution problem is also eliminated, as no discharges into the groundwater or drains take place. Finally, they ensure machine operation without relying on external water mains, i.e. with no consumption, and are therefore entirely environmentally-friendly. All the chillers of the MKevo Pro series in the standard version are designed for installation inside and outside and can operate at ambient temperatures between -20°C and +45°C and provide chilled fluid at temperatures ranging between -8°C and +20°C. On request there are systems for lower or higher temperatures.